A remarkable five sail seven storey tower mill. 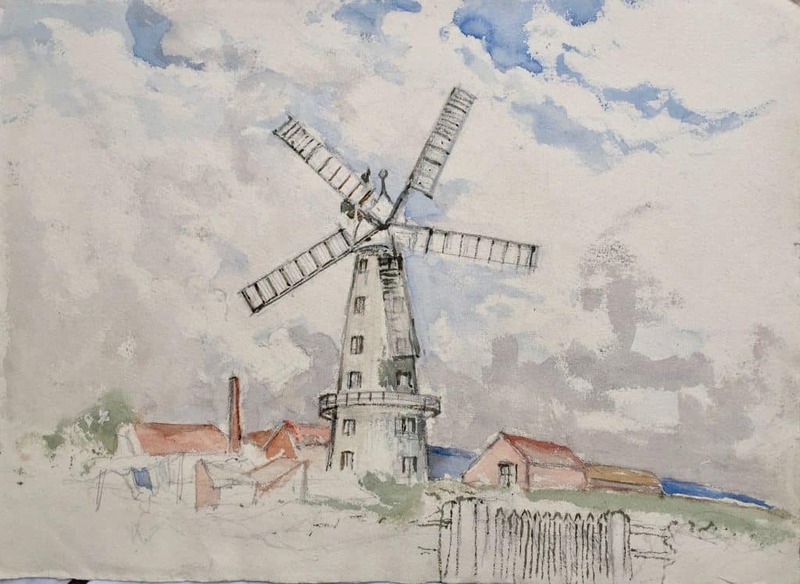 At the time of this painting it was known as Hoyles Mill. It has been restored to working order. Thanks to Gareth Hughes and James Waterfield for the identification.